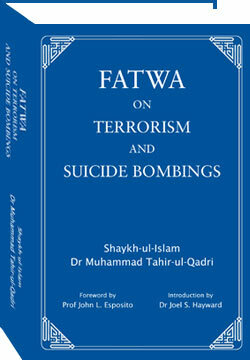 May Allah let people through this book understand that terrorism has nothing to do with islam, Ameen. Islam is peace, safety, mercy, tolerance, forbearance, love, affection, benevolence and respect for humanity. Terrorism is not only unlawful and forbidden in Islam, but also denote the rejection of faith. May the blessed gift of Huzoor Shaykh ul Islam�s guidance be with us for ever, Ameen.